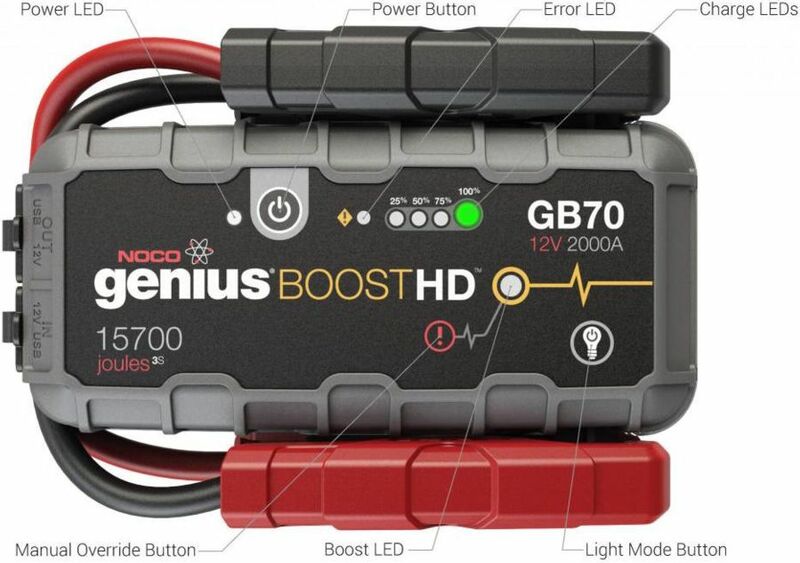 Safely jump-start a dead battery in seconds with the NOCO GB70 geniusBOOST HD 2000A Lithium Jump Starter. This heavy duty booster pack is designed for jump starting cars, boats, RVs, trucks and other applications with gas engines up to 8 liters, and diesel engines up to 6 liters. 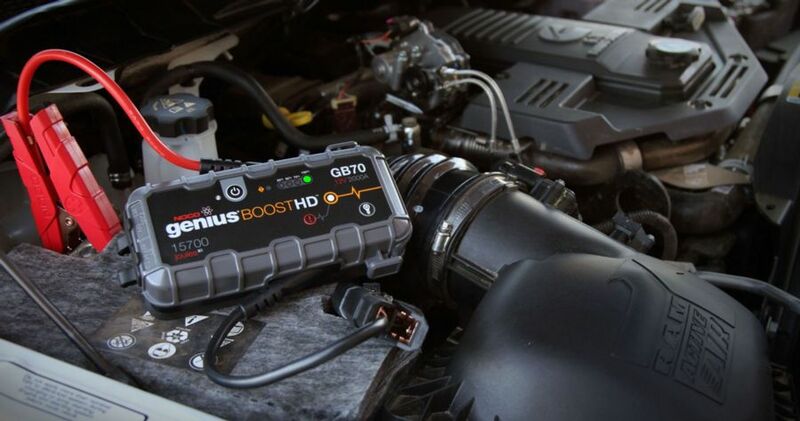 It also has the ability to power 12-volt devices like tire inflators and power inverters, or recharge USB devices such as smartphones, tablets, GoPros, bluetooth speakers and more! Rechargeable – keep Boost charged from any powered USB port, like a laptop or phone charger. 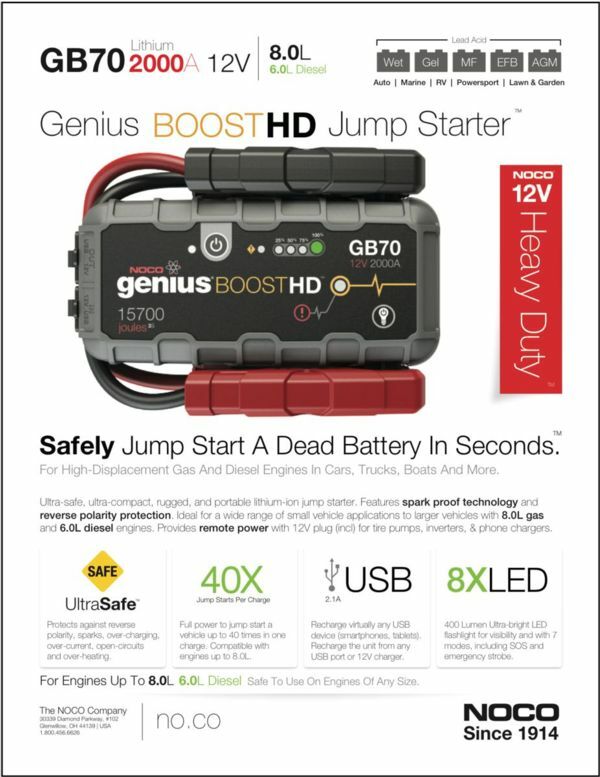 Includes: GB70 Jump Starter, Micro USB Cable, 12V Female Plug (OUT), 12V Male Plug (IN), HD Battery Clamps, 12V XGC Cable, User Guide & Warranty.